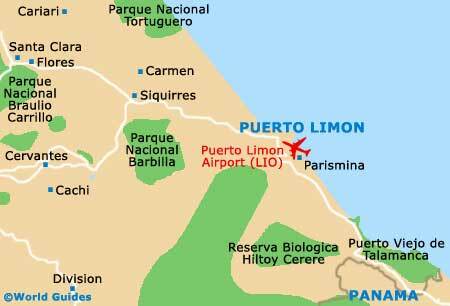 As well as catering for the traveller with deep pockets, Puerto Limon is a dream destination for budget holiday makers. A great choice of inexpensive lodging options is available, from bed and breakfasts (B&Bs) and guest houses, to motels and hostel dormitory accommodation, both in Puerto Limon and in its municipal suburbs of Guapiles, Guacimo and Cariari. Moin, at the northern end of town, is home to mid-range hotels and some good all-inclusive resorts set along its pretty beaches, and reasonably-priced accommodation is also found in the centre of the city. Nearby Puerto Limon, some of the best hotels in this area are based around the Playa Bonita beachfront. One of the oldest cities in the country, Puerto Limon may look more than slightly run-down due to the regular earthquakes in the region, but it still has many heritage buildings lining its quaint streets. One or two of these are now choice accommodation options, giving an insight into the city's colonial history, as well as providing a delightful lodging experience. For upscale accommodation, out along the coastline are exclusive, expensive and extremely beautiful spa resorts, set in glorious countryside and close to pure white-sand private beaches. Examples of this luxury level of lodging can also be found in the nearby national parks, appealing to well-heeled eco-tourists. Puerto Limon is somewhat disengaged from the main thrust of tourism in Costa Rica, in spite of its magnificent beaches and natural wonders. For visitors who do arrive here, though, this is normally seen as an advantage. However, if you are treating yourself to the escape holiday of a lifetime, the Hotel Cariblue, set to the south of Puerto Limon, is a good choice. The Hotel Cariblue comes with thatched huts, tropical gardens, a gourmet restaurant and lots more, being set alongside the lovely Playa Cocles beachfront and a natural jungle. For mid-range accommodation and charm, the Hotel Banana Azul, the Blue Conga and the Hotel Kasha are all popular, and for the budget traveller in Puerto Limon, even the beach resorts seem affordable. In particular, the two-star Totem Beach Resort and La Perla Negra both offer good value and pretty settings for the money.